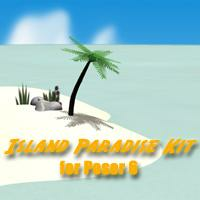 Requirements: A version of Poser that supports V4 (Poser 5 und up) OR DAZ Studio, V4 Base from DAZ. The Custom Synthia Morphs do NOT require the DAZ V4 Morphs. NOTE: The cartoon materials may not be fully functional in Poser 5 and do not work in DAZ Studio.